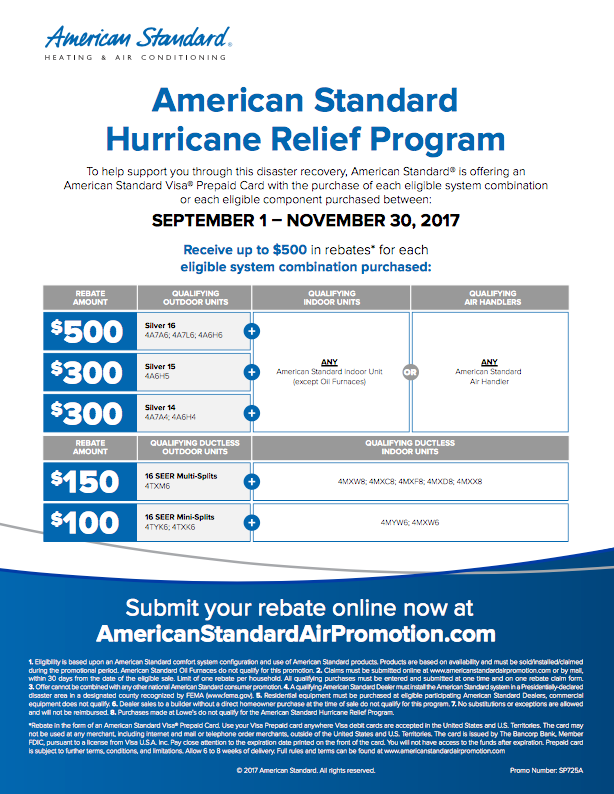 American Standard has extended the dates of the Hurricane Relief Program! 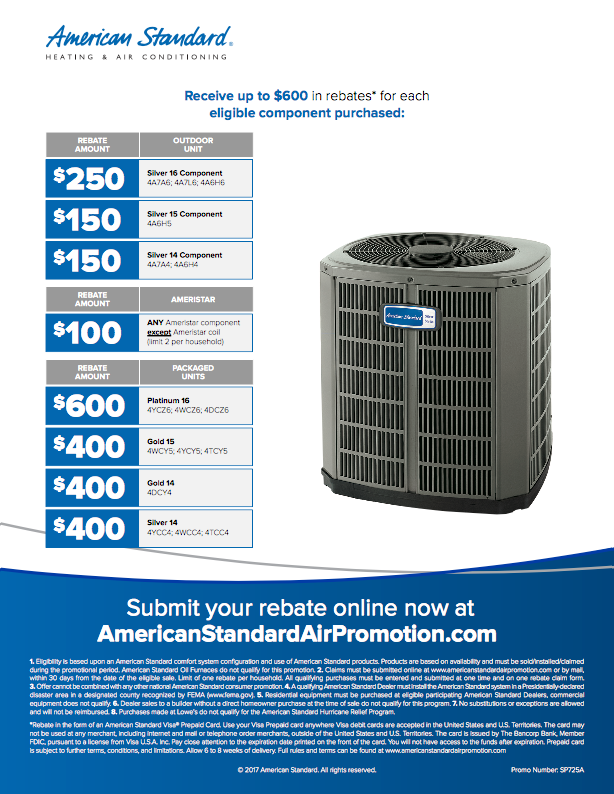 Due to the delay in construction, American Standard has extended the pre-paid Visa Card rebate. 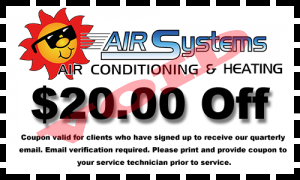 If you replace your unit (both indoor and outdoor as well as outdoor only) you can receive up to $500 on qualifying systems!